Least favourite season: Season 1. It took me 2 years to get to Season 3 and fall for this show. After that I watched the next 7 seasons in 5 months. Season 1 has some awesome episodes, but the point of the show wasn't made yet, until at least two thirds through Season 1, and that was because they thought they were making a weekly road movie/series with horror. None of that appeals to me. 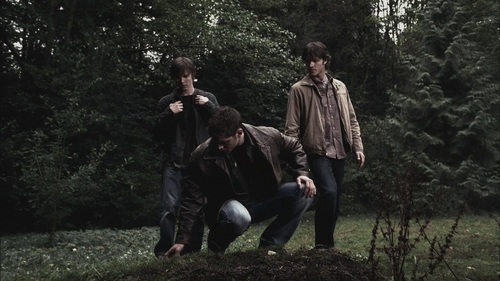 But I kept watching for the boys, because they each had their endearing qualities, and they wore their emotions on their sleeves (thank you Kim Manners). When they switched it to 'The epic love story of Sam and Dean' in Season 2 and threw more bits up about the larger storyline of the 5 season arc, then it became something I want to watch.